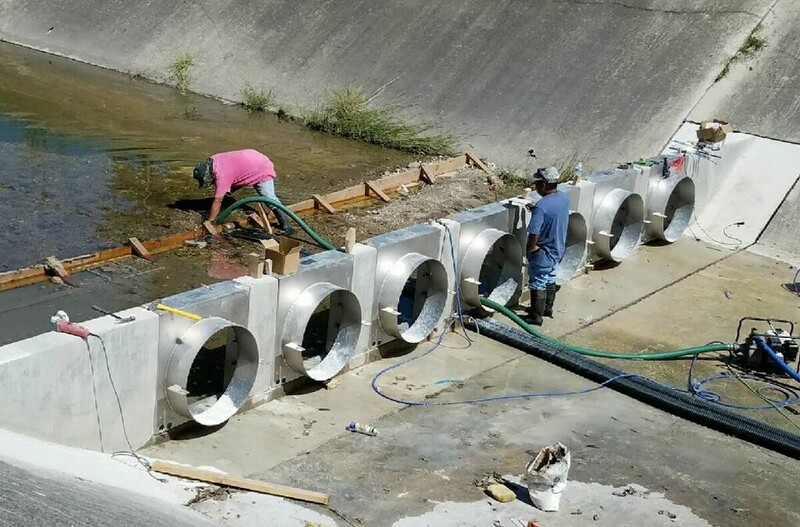 Vertex Construction, San Antonio, TX was awarded the project to install a StormX Weir Wall Trash Trap in Riverside Creek, inclusive of keying into the existing concrete lined channel and casting concrete piers to attach the 30” StormX units to. A second project next month will include a large Bandalong Litter Trap in Alazan Creek, also awarded to Vertex Construction. The San Antonio River Authority is a leader in watershed innovation and commits tremendous resources to keeping the creeks and the San Antonio River free of trash. HDR Engineers was the consulting engineer on the project. Storm Water Systems is proud that StormX Netting Trash Traps were chosen for this project, renewing our commitment to cleaning our waterways.